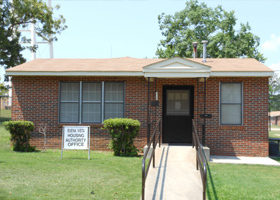 The Housing Authority of the City of Buena Vista, Georgia provides affordable housing for single individuals, couples and families. Our units are in various areas around the town center that are close to shopping and dining. We have playgrounds for our children and small family communities. It is country living easy with shady grounds. Simply a nice place to live! All apartments are income based. 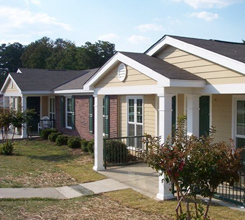 There are a total of 79 units with bedroom sizes ranging from one to four with various floor plans. All our units are flats. There is no application fee and a security deposit is required. Amenities include central heat and air, range, refrigerator, 24 hour emergency maintenance, playgrounds, washer and dryer connections, water, propane gas, pest control and a grounds keeping service. Residents are required to provide their own electrical service.